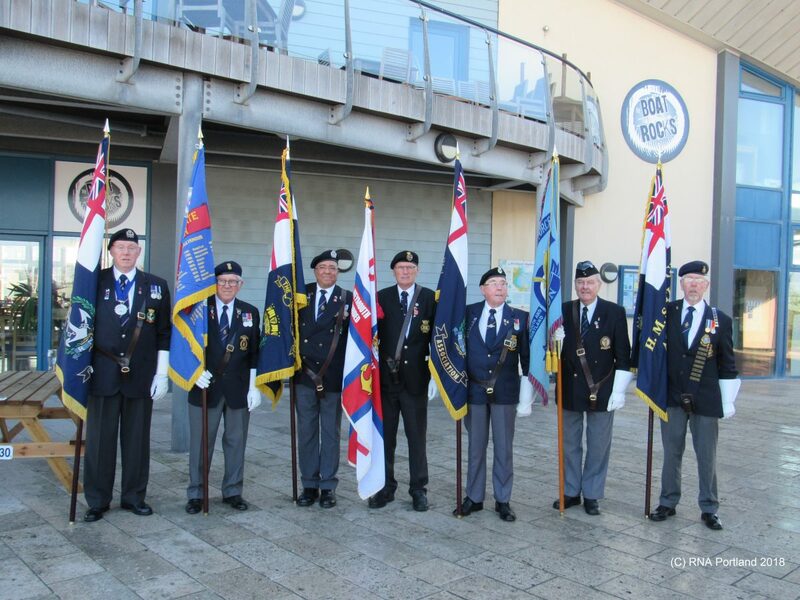 On Sunday 21st October Members of the Branch joined with veterans, families and members of the public at the Remembrance Service which marked the 70th Anniversary of the HMS Illustrious Pinnace Disaster. 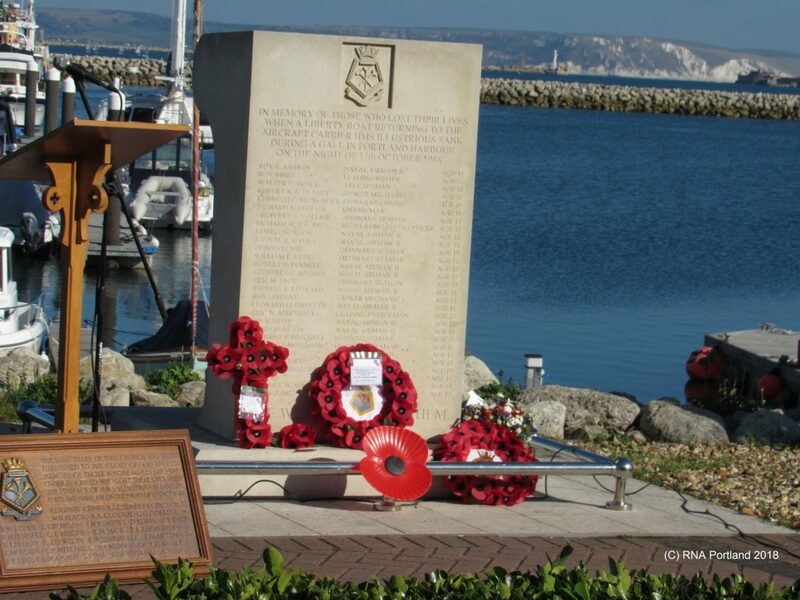 The service took place at the Memorial at Osprey Quay in Portland Harbour. The Portland Branch Standard was paraded along with those from other Branches and Associations. The Address was given by Vice Admiral Bob Cooling, President of HMS Illustrious Association.